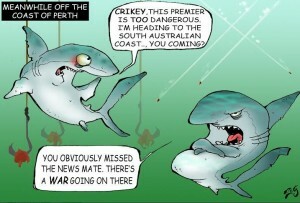 Now that a shark has been killed off the WA coast after several recent fatalities and maulings, large assemblies of green-tinted ratbags are shrieking that the WA Government has just committed murder. To tell you the truth, I am not at all in mourning over the shark’s demise. I will not don the sack cloth or cover my head with ashes. I will not lose sleep over a dead fish, nor will I demand a solemn burial or psychotherapy for those now stricken with grief. If it helps a leg, or any other part of a surfer’s body, to stay attached and avoid becoming a piscine appetiser then I am all for it. One of the reasons behind my callous lack of solicitude for sharks is their insistence on having humans for brekkie. There are family consequences, too. Just imagine a guy comes home with some or other body part missing. It will be quite an ordeal to explain where the missing limb is parked. The sharks’ culling is totally justified if it suppresses domestic discord and helps keep the family unit intact. 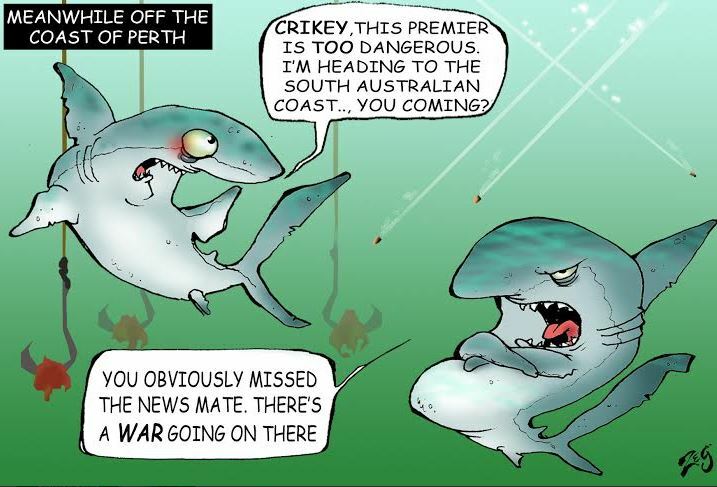 Meanwhile, it is almost fun to read the outraged whining of well-educated imbeciles, whose real goal must surely be to elevate the public profile of the Moron-Australian community, because only morons could seriously believe that sharks have rights. Yes, you read that correctly. According to these placard-waving anencephals, sharks really do have rights — chief amongst them the right to eat people, who should not defend themselves because resistance would infringe the sharks’ liberty and, presumably, their pursuit of well-fed happiness. A person born an idiot suffers from an incurable condition, but this variety of lunacy is terminal. The anti-culling protests would be funny if not so deadly serious. This line of thinking denies humans’ right to life, even as some of the more excitable members of our species proclaim the right to life of another. Distilled to its misanthropic purity, it is the essence of a modern eco-warriors’ credo: To hell with humans! All other species take precedence! One gathers that the ideal for these lofty crackpots would be a planet where humans do not exist and Mother Nature is unsullied and unspoilt by the bloody hand of man. 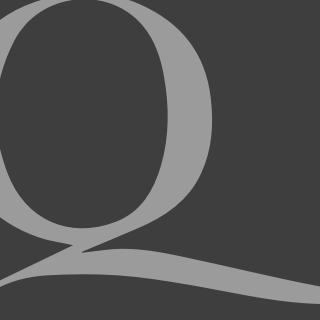 This way of thinking, if taken to its logical conclusion, sees the entire history of a humankind’s progress — the development of medicine, microbiology and epidemiology, animal husbandry, house-building, sewerage construction, everything that makes human life safe and comfortable — as nothing but gross violations of other species’ rights. There were angry words from shark defenders, who have been casting and castigating their heartless fellow humans as members of an imperialist species bent on assaulting the dignity, independence and freedom of man-eating sharks to exercise their right to eat humans in an unsullied natural habitat. When grateful sharks learn the names of their human defenders basic fairness will demands that they not bite off too many body parts, should concerned human ever commune with fish meet in the sharks’ natural habitat. It must be morally satisfying defending the finny underdogs, crusading for their right to continue snacking on those pesky surfers. But why stop at sharks? Why not go the whole nine yards and stop human exploitation of all species? Let’s start with bacteria. Say, pneumococcus, which causes pneumonia. Or gonococcus, causing gonorrhoea. Or bugs, bringing plague, tuberculosis, syphilis or any other nasty disease, which are the function of these bacteria — their mission in life, as it were, their reason to exist. Let’s not deny the microbes’ right to lifeI Let us designate them protected species. If we are to be logical, we should stop killing these bugs with medicines and let the patients die. Scoff if you like, but how do sharks differ from bacteria, except in size and appearance? As bacteria and sharks are living organisms, the protesters’ logic must surely assert that each has an inalienable right to exist and go about its business untouched and unharried. The fact that both life forms destroy humans should be irrelevant. With protesters threatening to sabotage the shark-hunting gear and vessels, it would be equally logical if they were to stage attacks on pharmaceutical companies producing antibiotics. Having saved killer bacteria in the name of protecting other species from murderous humans, the pro-sharkers can then put in a good word for mad dogs, malaria mosquitos, fleas, flies, lice and tape worms, which can all transmit lethal diseases. Seriously, how unbearably stupid and self-righteous can these people get? Protect a man-eating shark, they say. Let them eat humans. These sharks are in their natural habitat, they say. Does all of that mean we cannot venture into the sea, drain malarial swamps or build houses because all of those activities invade and change the natural habitat of lesser species? These self-appointed occupiers of what they believe is the high moral ground presume not only to tell us all how to live, which I could laugh off and ignore, but also that we have no right to defend our very own right to life. That is worse than stupidity. It is sheer malice. Or, to say it politely, rampant misanthropy.